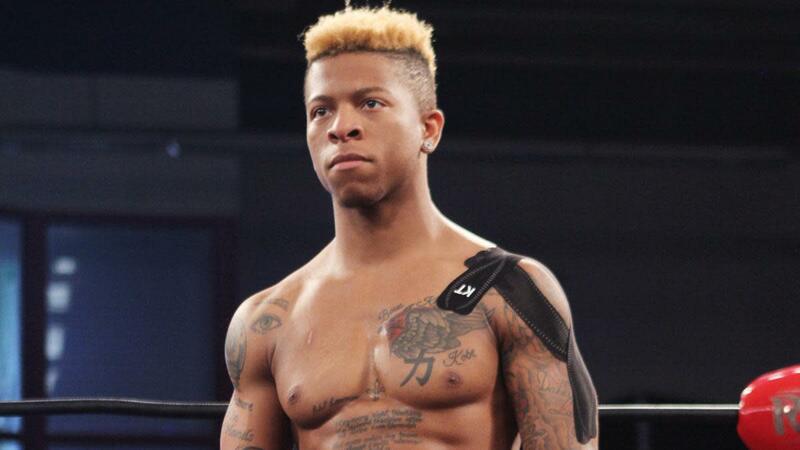 As expected, WWE has officially confirmed that Lio Rush has signed with the company. The news was announced in an article on their website this afternoon, with it calling Rush a "22-year-old prodigy." It was also stated that he reported to the Performance Center today. That Rush would be going to WWE has been known for a while. He last wrestled for Ring of Honor in April, then spent more time on the indies until heading to WWE. He finished up with CZW, EVOLVE, and MCW Pro Wrestling earlier this month. Rush started with MCW in Maryland in 2014, with NXT's Velveteen Dream (Patrick Clark) as his tag team partner. Now that WWE has confirmed Rush's signing and Adam Cole, Kyle O'Reilly, and Bobby Fish have appeared on TV, Donovan Dijak should be the next former-ROH wrestler that WWE announces has officially signed with them. Dave Meltzer reported last month that Dijak was bound for WWE once he finished his commitments on the indies.